Pictured above is the external oblique muscle. 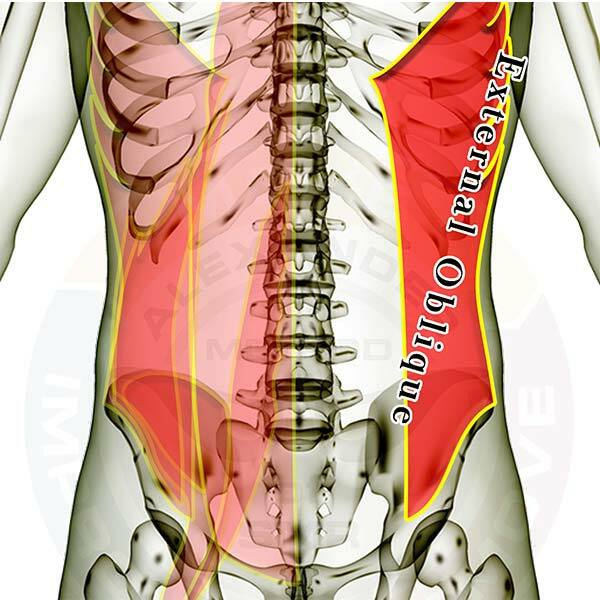 It twists your torso and pulls your ribs toward the top of the front of your hip bone. It works with the other core muscles primarily to stabilize the abdominal region and hold your spine steady while you move your body or lift something. 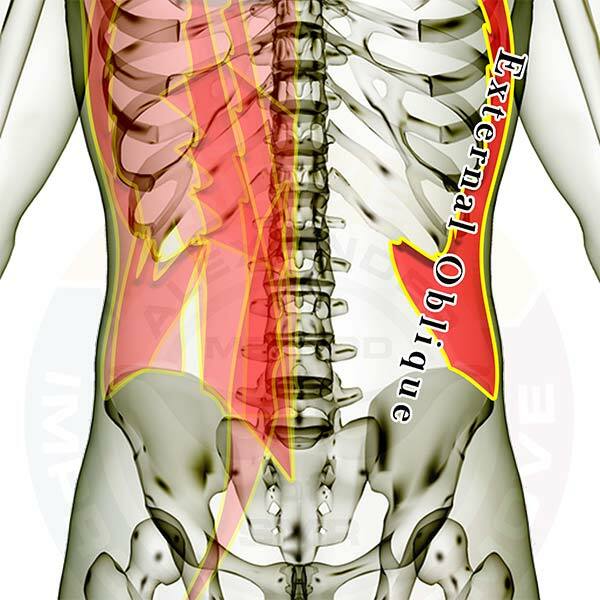 You will likely need to stretch and practice SMR on the deeper internal obliques, but occasionally you may need to focus on the external obliques. Be sure to check the PSOAS in particular, as it is EXTREMELY LIKELY to have knots that need attention.